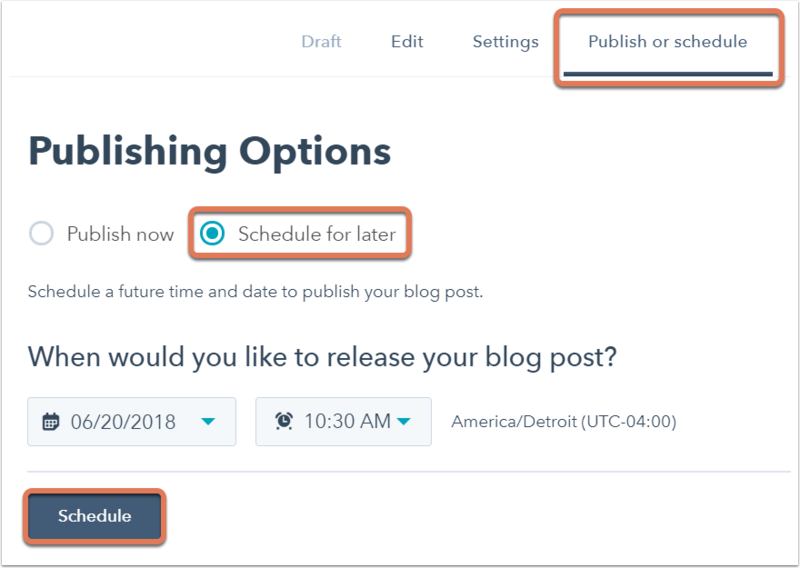 After crafting your blog post, you can choose to publish it immediately or schedule it to publish at a future time and date. Click the name of an existing draft blog post. In the post editor, click the Publish or schedule tab. Select Schedule for later, then select the date and time (based on your account time zone) to publish the blog post. In the dialog box, click Schedule blog post. Please note: if set up, blog subscription notification emails will be sent and social posts auto-published 15 minutes after the blog post is published.